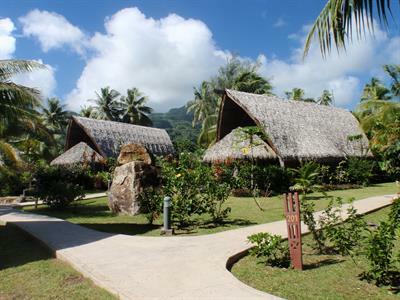 The Premium Garden Bungalows at Maitai Lapita Village Huahine are spacious and well-equipped and are constructed in line with the ancient houses of Polynesian canoes. The interior is inspired by the arts of Lapita pottery and archaeological objects found on the site. 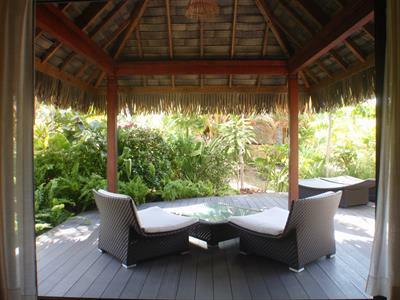 Located in the garden, enjoy your terrace to admire the environment and the intoxicating scent of exotic flowers. 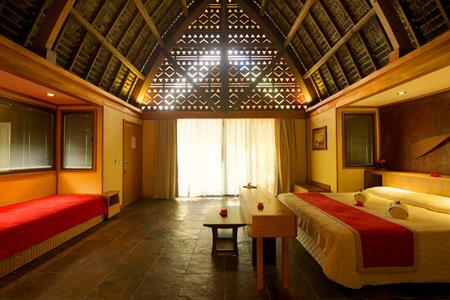 You will find a large king-sized bed decorated in Polynesian style upon your arrival. Other features in the Premium Garden Bungalows include: coffee / tea service, writing table and chair, safe, mini-bar, TV, international direct dial telephone, Internet access (via Wifi) from the room, and plenty of room to store your personal belongings. 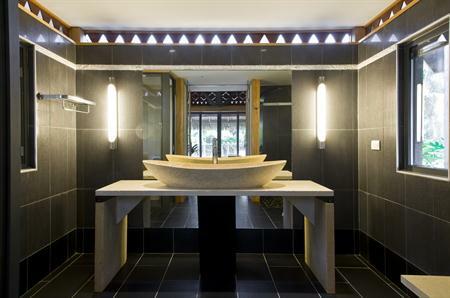 Enjoy the modern and spacious bathroom. Toiletries (shampoo and soap), towels and hair dryer are provided. 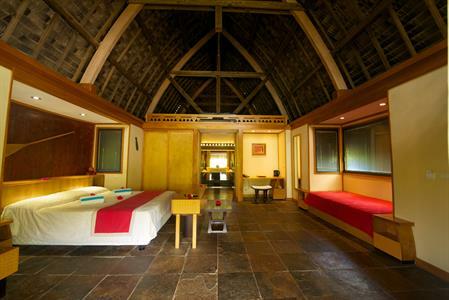 The bungalows are all equipped with air-conditioning and have a daily maid service. Premium Garden Bungalows are also equipped with a sofa bed and a trundle bed that can accommodate an extra person and a child.